While we are all waiting for Kaveri - the core-architecture that will drive AMD’s next-gen APUs, it seems that the firm isn’t quite done with its current line-up. 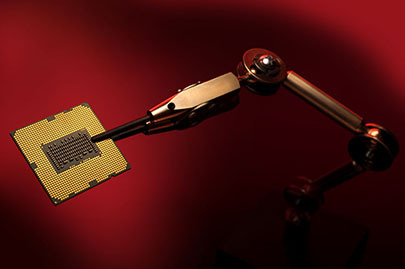 So here comes A10-6790K – the newest member in AMD’s Richland family of APUs. Designated for socket FM2, this new model comes with a base clock frequency of 4.0GHz that can reach up to 4.3GHz in turbo mode. This is a quad-core part with fully unlocked multiplier for easy overclocking (hence the “K” suffix). 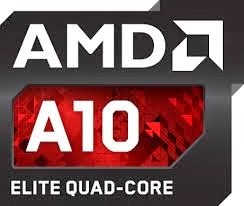 It’s apparent from the naming convention that AMD has positioned this APU just behind its flagship A10-6800K which offers a slightly higher base and Turbocore speed at 4.1GHZ and 4.4GHz respectively. Memory speed rates also differ between these two APUs as the new A10-6790K has support for DDR3 1866MHz modules instead of DDR3 2133MHz found in the 6800K. So as you can see, AMD is trying to close the CPU performance gap between A10-6800K and A10-6700 with this newcomer. With almost identical specs, the A10-6790K shouldn’t have any problem performing at the A10-6800K’s level. The slight deficit in clock speed won’t matter much because thanks to the unlocked multiplier, you can crank-up the clocks anytime you want to match its faster sibling! As far as DDR3 memory support is concerned, we’ve seen these APUs to operate at much higher frequencies than their official ratings. So I wouldn’t worry about it either. All in all, if you’re doing an APU build and looking for a cheaper alternative to the flagship A10-6800K, then this new chip might just fit the bill. Having said that, I believe some enthusiasts could be a little disappointed not seeing a faster iteration of Richland! Given the maturity of the 32nm process, it’s not unreasonable at all to expect faster updates of the high-end parts. But at the same time I’d also like to remind that the FM2 socket is already in its 2nd generation and now with Kaveri on the horizon, there isn’t much left in this platform. Right now, I will highly recommend an A10-6790K on a socket FM2+ motherboard for a future proof yet budget-friendly system with superior 3D graphics capability. Kitguru has already published a review for this new chip. Unfortunately they have pitted it against a costlier and more powerful Intel Core i5-4430 rather than a similarly priced i3. You can read it here.